Sepp Blatter, president of the world soccer governing body FIFA that is embroiled in corruption investigations, has told a German magazine he has a clean conscience and believes he will "go to heaven one day". US prosecutors have not accused Blatter, 79, of any wrongdoing, but his stewardship of FIFA is under scrutiny, sources familiar with investigations in the United States and Switzerland have said. Blatter announced on June 2 he would step down as FIFA president after an election that is likely to take place late this year or early next year. "I have a clean conscience," the Swiss told German magazine Bunte in an interview published on Wednesday. "Whoever calls me corrupt will have to prove it, but nobody can prove that because I am not corrupt." 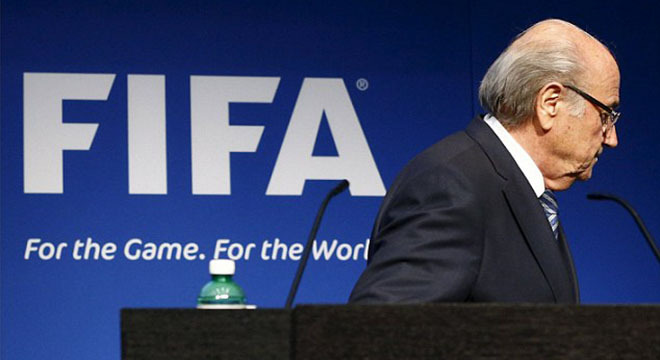 Blatter said he was open to criticism. "But if anybody calls me corrupt because FIFA is corrupt, I can only shake my head. Everybody who says something like that should go to jail." He said he was a religious person and that his faith had given him strength during the last weeks. "I own a golden cross that has been blessed by Pope Francis. I believe I will go to heaven one day," Blatter said. A US-based lawyer said on Tuesday Blatter would not travel to Canada for Sunday's final of the women's World Cup for personal reasons. Some lawyers with experience in international criminal cases have said Blatter would be ill-advised to travel after an indictment announced on May 27 by US prosecutors against nine current and former FIFA officials and five sports marketing businessmen.